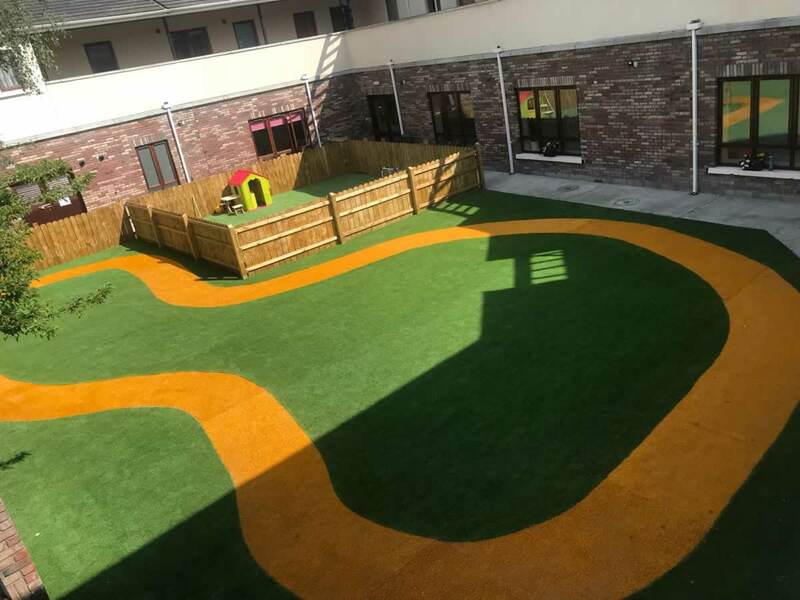 PST Lawns artificial grass creates a safe and durable play surface for créches and preschools so kids can make the most of playtime. Our non-slip, friction-free artificial grass is extremely soft and exceptionally hard-wearing making it ideal for busy play areas. 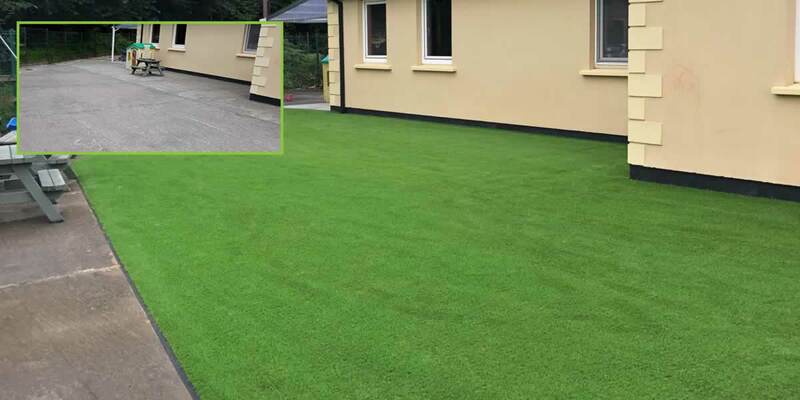 Our synthetic grass can be laid on almost any surface making it an excellent choice for high traffic, heavy usage areas without all the hassle of upkeep. It’s a great alternative to a worn out high-maintenance natural grass play area. You’ll also be able to say goodbye to muddy footprints back in the classroom. In addition, artificial grass is perfect for transforming old and tired looking concrete playgrounds. All PST Lawns artificial grass products are completely safe and designed to last for years. Our team of expert installers can also lay shock pad underneath the artificial grass carpet for extra protection. This protects kids by lessening the impact of a fall and reduces the risk of injury. It’s particularly suitable of areas where children’s play equipment is installed. 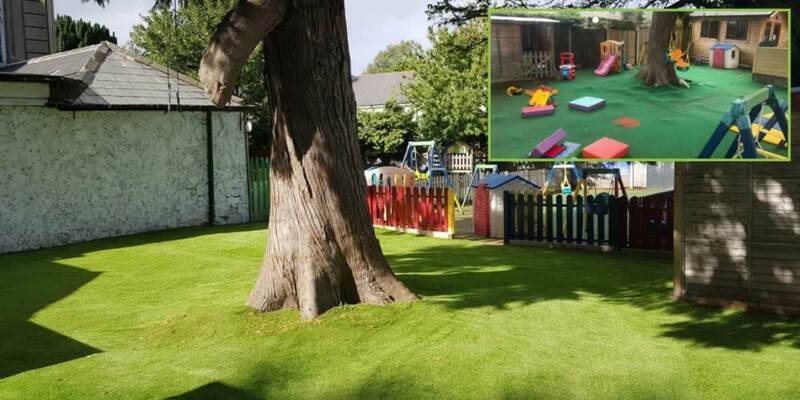 If your créche or preschool is thinking about installing an artificial grass play area get in touch today. CONTACT US here. Alternatively, LoCall 1890 917 006 | Email: hello@PSTlawns.ie.